Thank you lovely, generous planet. Such a way to wake – first, the descent down the hill with a quick lurch of excitement in my heart at the sight of the sea, then the still-tired body’s walk down to the pool, then a dive into the water – brrrrrrr – then . 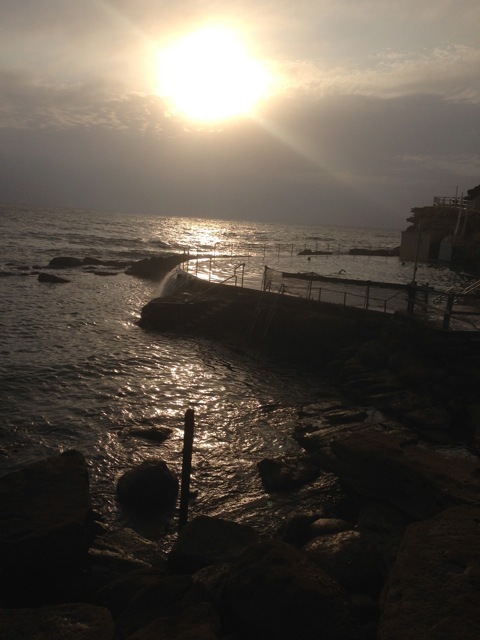 . . bliss, empty mind, flesh-freshened fabbo languid licks of strokes through the water to the other end of Bronte pool there to pause arms on the pool edge and mindless the sea and young sun bringing the new day . . .